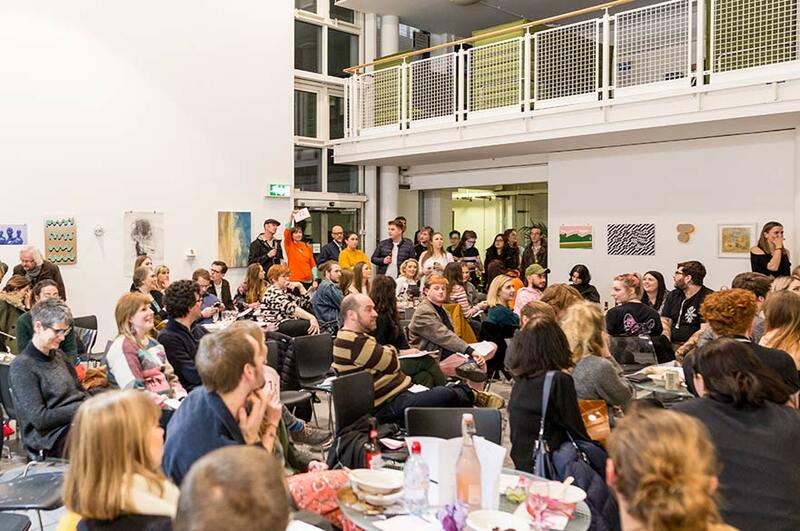 Students in their final year of the BA (Hons) Fine Art course at Nottingham Trent University hosted the annual Fine Art Auction this February, raising over £3000. The Fine Art Auction, now in its seventh year, is a real highlight in the School of Art & Design's calendar, and for the wider creative community in Nottingham. It enables students to raise money for future projects, while providing a lively social event for fellow students, staff, alumni and the general public. Geoff Litherland, ‘Lost in place No.3’, 2017. Taking place in the Bonington Atrium, over 50 lots went under the hammer, donated by current students, staff, alumni and external artists. The top selling piece this year was ‘Lost in place No.3’, a painting by Fine Art lecturer Geoff Litherland, which fetched £400. 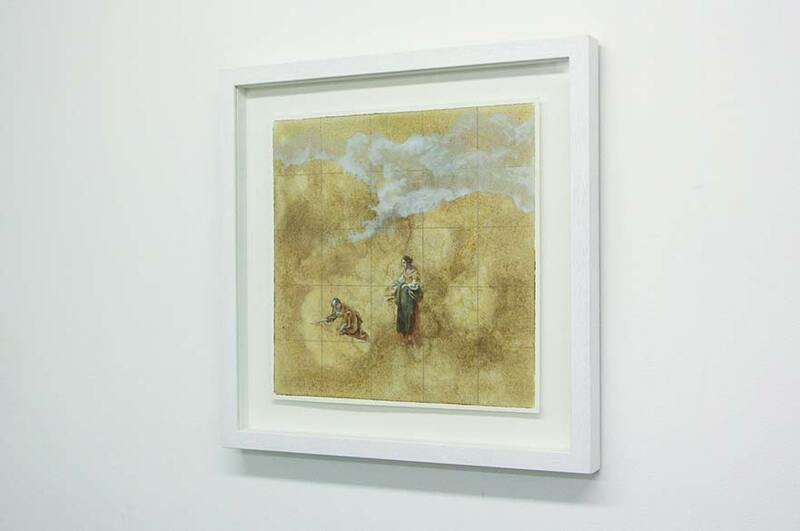 ‘Allay’, a piece by fellow Fine Art lecturer Derek Sprawson, also sold for an impressive £200. The money raised this year will not only go towards funding projects led by the third year students once they have graduated, but will additionally support the second year students’ upcoming ‘Public’ project.